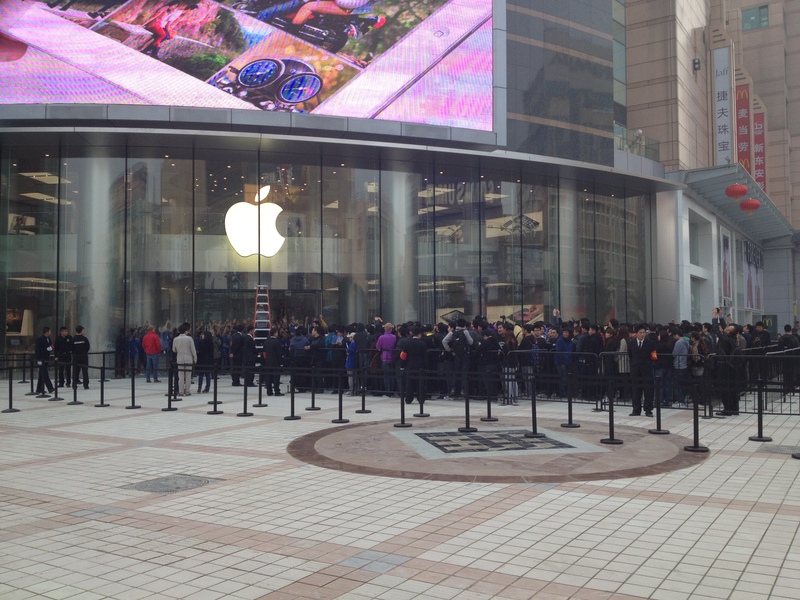 Apple on Saturday opened the doors to its Wangfujing Apple Store in Beijing with the usual fanfare and a large crowd of eager customers and TNW was there to check it out. 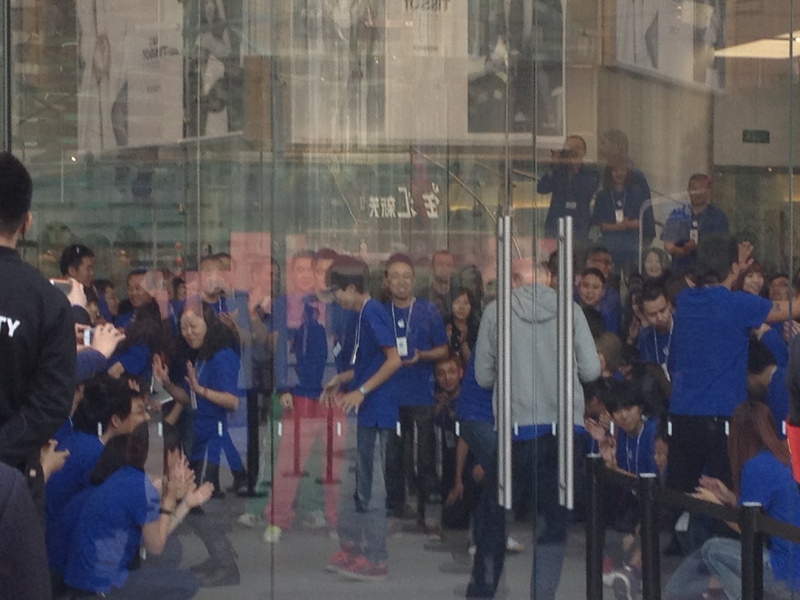 The store employees had an energetic opening, with some pop-and-locking and a group rendition of PSY’s “Gangnam Style” horse dance. 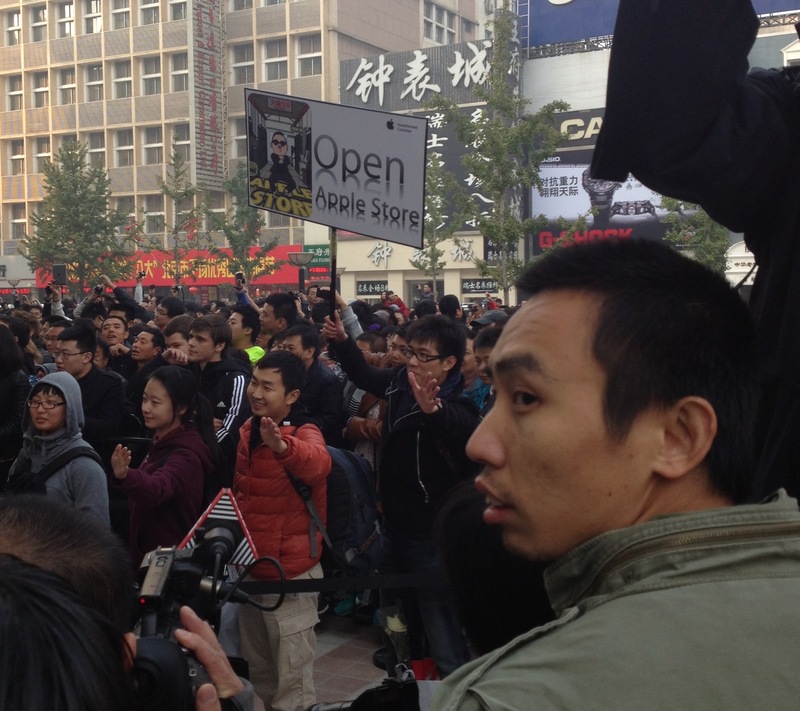 Some Apple fans also had a bit of K-pop influence, as one customer had a Gangnam-themed sign to commemorate the opening of the store. The line was a mix of post-80s young folk, foreigners and middle-class adults. 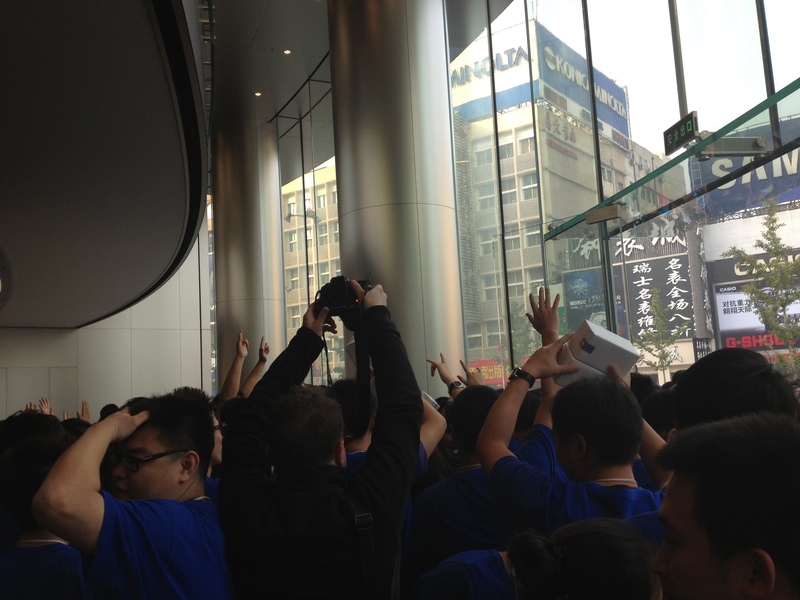 The third Apple store in the city of approximately 20 million, the new store is located along a storied pedestrian street that is a popular tourist destination for both Chinese and foreign visitors. 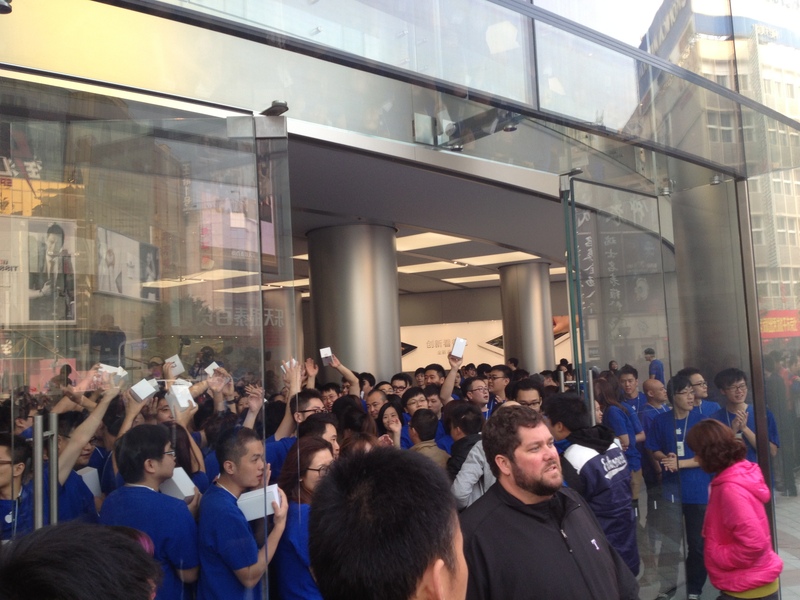 It claims the title of the largest Apple Store in Asia, beating out flagship locations in Hong Kong and Shanghai. 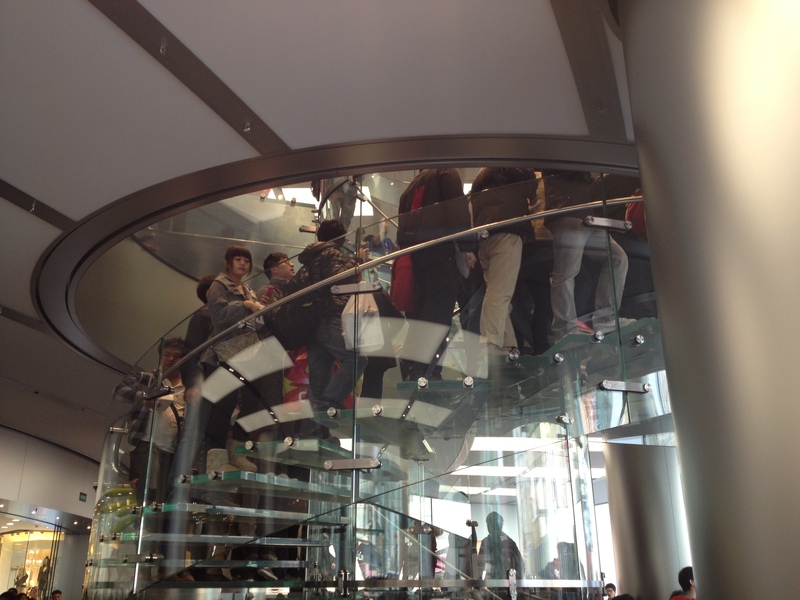 Notable aspects of the store include its three-level glass staircase, which Apple says is one of only three in the world, and its dual 360-degree Genius Bar counters. 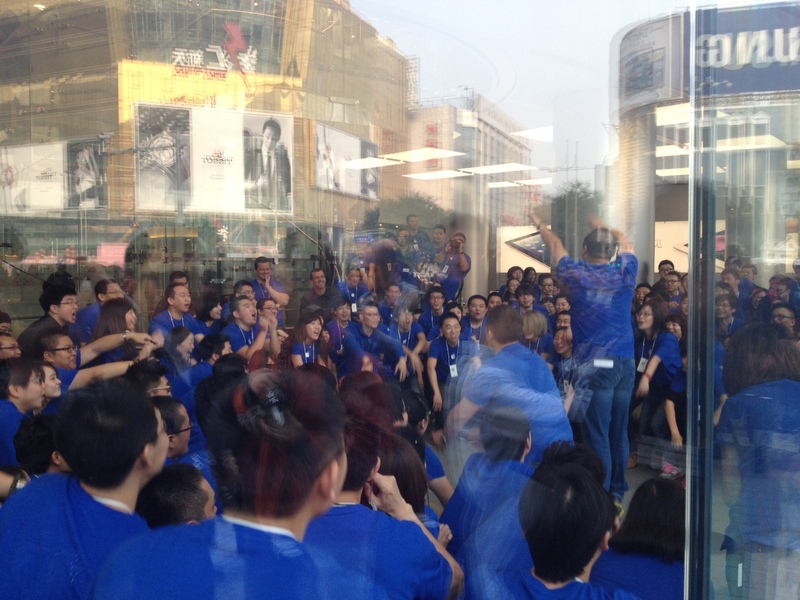 For more photos, check out The Next Web’s gallery from a media tour of the store led by Apple Senior Vice President of Retail John Browett, who touted the location as the best that Apple has built in Asia. 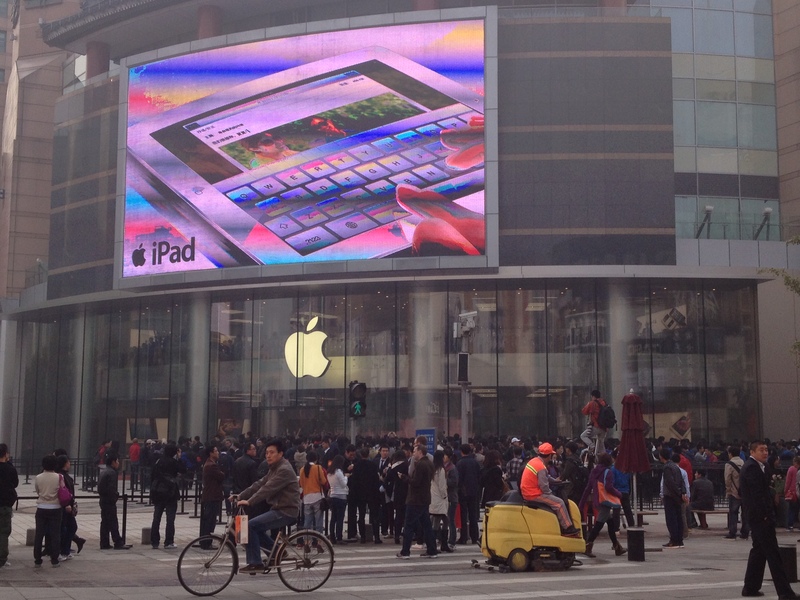 Apple now has 390 brick-and-mortar stores around the globe, including six in China and two in Hong Kong. 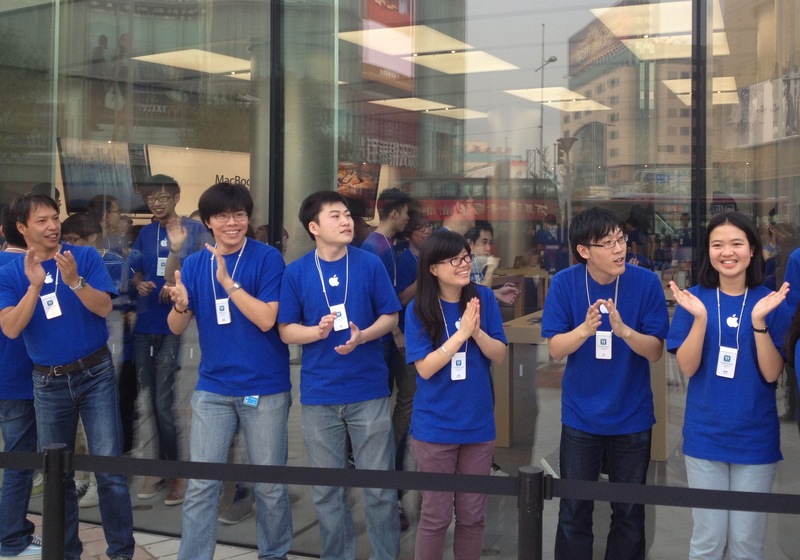 Next up for its retail operations in China, the company will soon open a store in the southern city of Shenzhen, which is known more for manufacturing Apple products than for buying them.